However, on 21 September morning, Messenger and Viber appeared to remain blocked inside the Saudi kingdom. 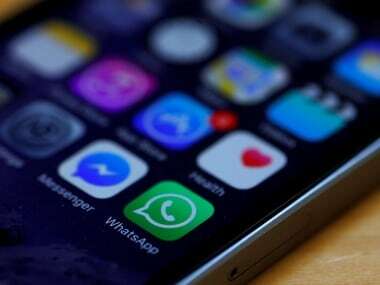 The Saudi government is lifting a ban on calls made through online apps on 21 September but will monitor and censor them, a government spokesman said. All online voice and video call services — like Microsoft’s Skype, Facebook’s WhatsApp and Messenger, and Rakuten’s Viber — which satisfy regulatory requirements were set to become accessible overnight. However, on 21 September morning, Messenger and Viber appeared to remain blocked inside the kingdom. Adel Abu Hameed, spokesman for telecoms regulator CITC, said on Arabiya TV on 20 September that new regulations were aimed mainly at protecting users’ personal information and blocking content that violated the kingdom’s laws. Saudi Arabia, which introduced blocks to internet communications from 2013, along with its Gulf Arab neighbors have been wary that such services could be used by activists and militants. Gulf Arab states, except the island kingdom of Bahrain, were mostly spared the “Arab Spring” mass protests often organized over the Internet which roiled much of the region in 2011. Lifting the ban represents part of the Saudi government’s broad reforms to diversify the economy partly in response to low oil prices, which have hit the country’s finances. Yet the policy reversal could squeeze Saudi Arabia’s three main telecoms operators — Saudi Telecom Co (STC), Etihad Etisalat (Mobily) and Zain Saudi — which earn revenue from international phone calls made by the millions of expatriates living in the kingdom.